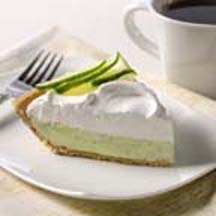 CooksRecipes has quality, kitchen-tested recipes for a variety of lime pies, including the classic Key Lime Pie, that you can count on for successful deliciousness. 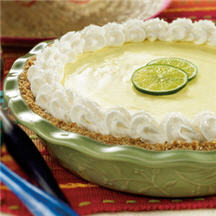 This version of key lime pie will make you feel like you are in the sunshine of the Florida Keys. 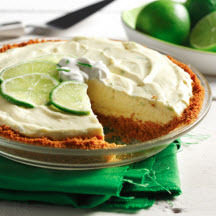 Flavored with fresh limes and oranges (and an added splash of optional tequila), this refreshingly sweet filling is complemented by a salty pretzel crust.